In this Tutorial you will learn how to create an Event. Events are one of the key features to getting started with the platform because they are how you will launch each service. After clicking the "+ Add Event" button you will want to fill in the appropriate information. Event Duration - This will determine how long your Event will last. Once the time runs out your platform will automatically switch to offline mode and chat will be disabled. If you want chat to continue after your video ends you will want to make this longer than your video. This allows you to have Events but not make them active. If it is not active, it will not show up in your schedule. Enter the notes that you would like users to see during the service. 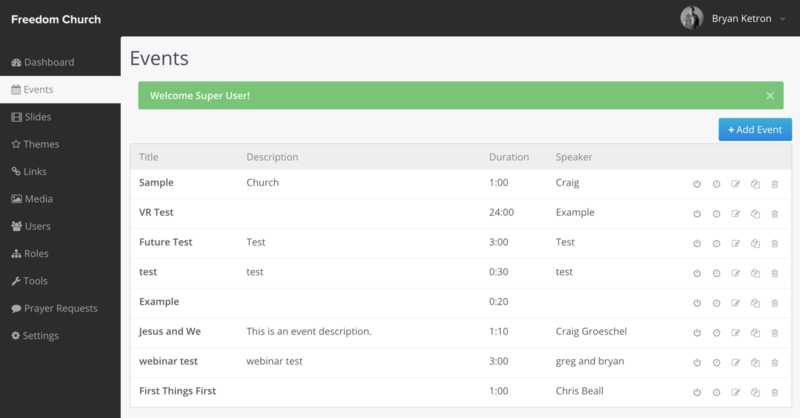 This could include sermon notes, upcoming events, even html. Enter any info you want just volunteers to see during the event. Some churches use this for “ground rules” for volunteers as well as any general updates. This allows you to turn chat "on" or "off"
This allows you to turn notes "on" or "off"
This allows you to make the map default "Opened" or "Closed" based off your preferences. Once you click "Save" you should see "Event was successfully updated." if you were successful in saving. You will also see some more options now available. These setting will allow you to add Slides, Times, Video Embeds, and Social Media links. Note: "Times" and "Videos" must be filled out before the Event can go live. 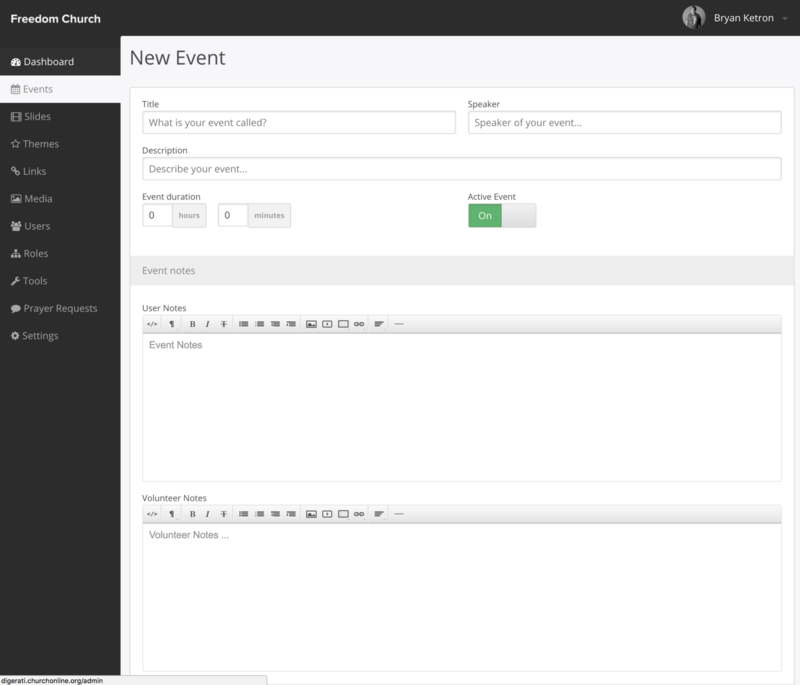 Please view our "Adding Event Times" and "Adding Event Embed" tutorials to learn more about this.